How Many Photos Can an 8-Gigabyte Card Hold? Though largely defined by the quality and size of the photos in question, an 8GB memory card is capable of holding up to 1,000 24-megapixel photos. Fewer pixels require less data, and thus more can be stored on a memory card. It's not always as easy as just knowing how much data is available. It helps to know a few additional details about both the storage device and the media being stored on it. Some memory cards have very sophisticated storage parameters, allowing them to internally compress files and thereby store more of them. Similarly, photos are relatively low maintenance, and thus a small memory card can hold quite a lot of them, but video is more complex and requires more space. How Many Pictures Does a 4GB Memory Card Hold? What Does Format Memory Card Mean? What Is a LAN Card? What Is the Difference Between Flash Memory and RAM? How Many Megabytes of Data Can a Factory-Made Audio CD Hold? How Do You Make a Bootable USB? What Does It Mean When Your Cell Phone Says "SIM Card Is Full"? 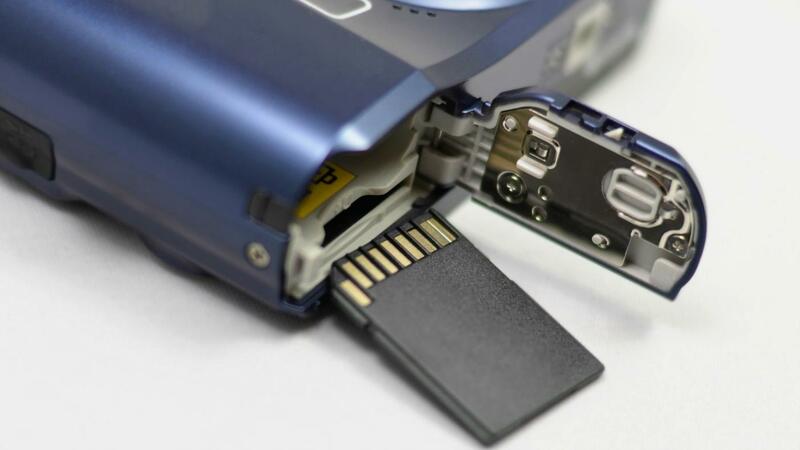 How Do Flash Memory Cards Work? What Is the Difference Between SD and XD Memory Cards? What Are the Different Types of Storage Devices?